So many people ditch banana thinking it can make one gain weight but do you know there are so many beauty and health benefits of banana ! 1. Workout Snack- Bananas are a great pre- mind snack. It has fibre, potassium and vitamin B6, it boosts energy. 2. Beautify Hair- Mashed Banana works as an amazing conditioner. 3. Eases Muscle Cramps- Including potassium rich banana in diet can help sooth achy muscles. 4. 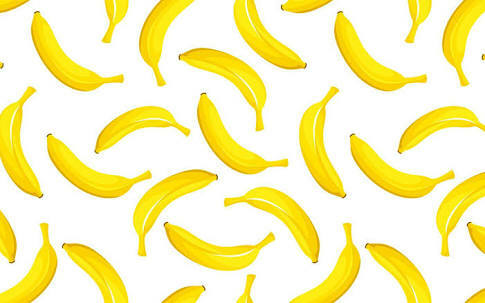 Decrease risk of stroke- Banana is a great source of potassium and helps reduce risk of stroke. 5. Treats Acne- Rubbing banana peel on acne can really help it clear. 6. Saves Hunger- Banana is a great snack, even perfect to eat before bed. 7. Relieves itchiness-Rubbing banana peel can relieve it itchiness. 8. Soothes puffy eyes- Putting mashed banana under eye helps reduce puffyness. So see, there are so many health and beauty benefits of eating bananas!